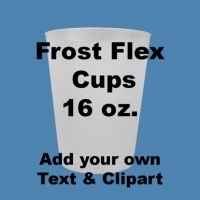 Frost Flex Cups - Design Your Own 20 oz. Styrofoam Cups - Design Your Own 16 oz. Styrofoam Cups - Design Your Own 20 oz.